Rereleased for Star Trek: The Original Series ' 50th Anniversary, this in-depth analysis of the groundbreaking TV show features an updated introduction by Robert J. Sawyer and foreword by David Gerrold Trekkies and Trekkers alike will get starry-eyed over this eclectic mix of essays on the groundbreaking original Star Trek, one of the most culturally impactful TV shows of the last 50 years. 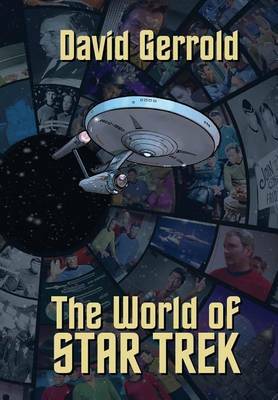 Star Trek scriptwriters D. C. Fontana, David Gerrold, Norman Spinrad, and Howard Weinstein, science fiction writers including Allen Steele and Lawrence Watt-Evans, and various academics share behind-the-scenes anecdotes, discuss the show's enduring appeal and influence, and examine some of the classic features of the series. Communications and media theorist Paul Levinson shows how the unprecedented success of the "seventy-nine jewels" in syndication changed the way we look at television forever. Star Trek writer D. C. Fontana remembers Gene Roddenberry and what it was like on the set and behind the scenes. Hugo Award-winning author Allen Steele explores the strong science fiction tradition that made the show so great. Cultural theorist Eric Greene details the show's complex dialogue with the Vietnam War, highlighting the evolving stances on interventionist politics. Science fiction novelist DON Debrandt contends that the famously logical Spock isn't quite as rational as Star Trek's writers would have you believe. Scientist Robert A. Metzger proves that Scotty's ability to lie makes him the most valuable member of the Enterprise crew. Fanfiction author Melissa Dickinson explains why we still feel compelled to write our own stories about Kirk, Spock, and the rest of the show's memorable characters. 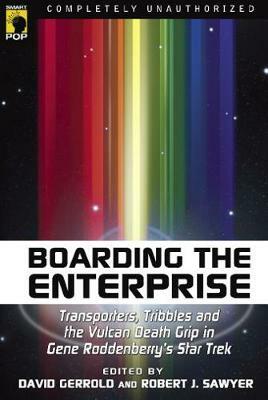 Buy Boarding the Enterprise by David Gerrold from Australia's Online Independent Bookstore, Boomerang Books. 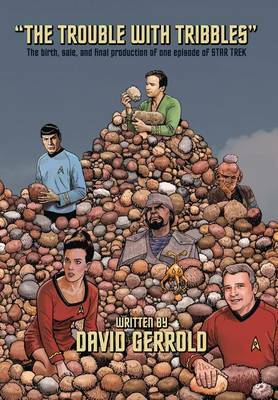 A Hugo and Nebula award winner, David Gerrold is the author of more than 50 books, several hundred articles and columns, and more than a dozen television episodes. 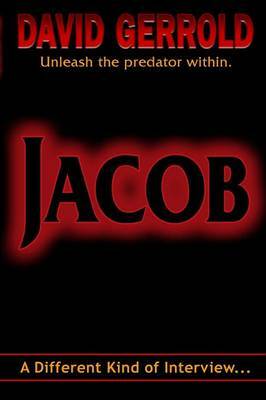 His books include When HARLIE Was One, The Man Who Folded Himself, The War Against the Chtorr septology, The Star Wolf trilogy, The Dingilliad young adult trilogy, and the award-winning autobiographical tale of his son's adoption, The Martian Child. TV credits include episodes of Star Trek ("The Trouble With Tribbles," "The Cloud Minders"), Star Trek Animated ("More Tribbles, More Troubles," "Bem"), Babylon 5 ("Believers"), Twilight Zone ("A Day In Beaumont," "A Saucer Of Loneliness"), Land of the Lost ("Cha-Ka," "The Sleestak God," "Hurricane," "Possession," "Circle"), Tales from the Darkside ("Levitation," "If the Shoes Fit"), Logan's Run ("Man Out of Time"), and more. David Gerrold is a figment of his own imagination. Robert J. Sawyer is one of only eight writers ever to win all three of the science-fiction field's top awards for best novel of the year: the Hugo (which he won in 2003 for Hominids), the Nebula (which he won in 1996 for The Terminal Experiment), and the John W. Campbell Memorial Award (which he won in 2006 for Mindscan). According to the Locus Index to Science Fiction Awards, he has won more awards for his novels than anyone else in the history of the science-fiction and fantasy genres. 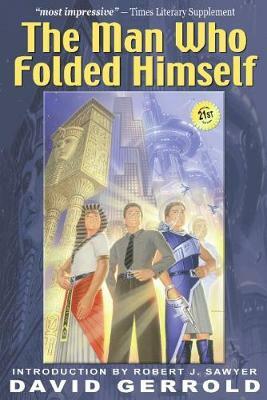 The ABC TV series FlashForward was based on Rob's novel of the same name. His other novels include Starplex, Frameshift, Factoring Humanity, Calculating God, Humans, Rollback, and Wake, all of which were Hugo Award finalists. His online home is at sfwriter.com and his physical home is in Toronto.